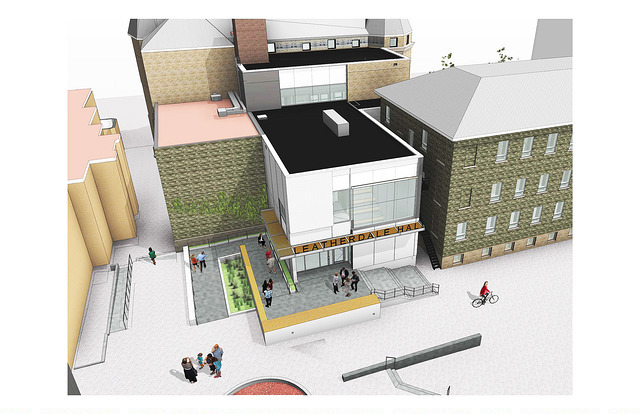 The University of Winnipeg Community Renewal Corporation, a not-for-profit charitable corporation, spearheads and manages campus development. UWCRC is guided by a four pillared concept of sustainability (environmental, social, economic and cultural) and actively develops partnerships with community, private and public sector organizations. From 2005 to 2015, The University of Winnipeg has been responsible for investing more than $200 million in facility construction and renovation in our downtown and West End neighbourhoods. In just over a decade, enrolment has increased by 55%, with approximately 10,000 undergraduate and graduate students attending classes. Several thousand more students take English language and professional development programs on our campus, making UWinnipeg the single largest educational centre downtown. 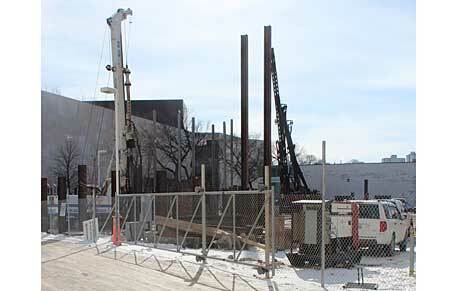 A ground-breaking ceremony was held in June 10, 2016 to celebrate construction of Leatherdale Hall, a $ 4.75 million dollar addition to The University of Winnipeg’s Wesley Hall and the Collegiate high school on campus. A generous lead gift of $2.5 million from the late Dr. Douglas W. and Mrs. Louise Leatherdale has attracted an additional $1 million to date from generous donors through a fundraising campaign co-chaired by Dr. Jim MacDonald and Dr. Jim Richardson, UWinnipeg Foundation Board Members. Connected to Convocation Hall, the new flexible multi-use space can seat 150 people and be converted to a lecture hall, reception area and break-out room for conferences. The design allows for future development of a digital media hub. Leatherdale Hall sees the return to campus of Tony’s Canteen, a much loved gathering space for students. Department of Urban and Inner-City Studies, CEDA-Pathways to Education, University of Manitoba Inner City Campus, Urban Circle Training Centre, and the Aboriginal Education Directorate. In addition, Frontier College will offer literacy programs to pre-school children and their parents. The University of Winnipeg Students' Association will also have a satellite office in the building. 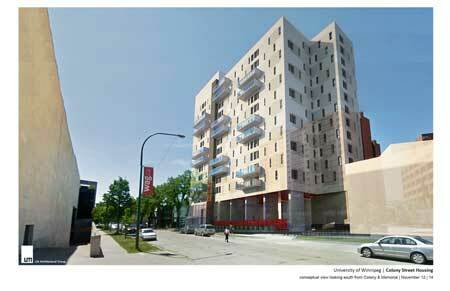 On November 25, 2013, UWinnipeg announced construction of a new housing complex at one of the city’s most iconic locations, between Buhler Centre and the Winnipeg Art Gallery, across from The Bay. The mixed-use building accommodates both students and community residents.